﻿ Bet on Cristiano Ronaldo! What's going to happen next? 23.04.2018 » Bet on Cristiano Ronaldo! What's going to happen next? There are tons of speculations about what Ronaldo is going to do next, what's going to happen to or with him. So how can you spice things up? Big time bookies offer lines for pretty much anything. For example, there's not only sports at 888, there are casino games, poker, and there are some interesting bets on entertainment and politics among others. Well, politics not as much, but entertainment for sure. Bet on Ronaldo on and off the pitch! Now, placing a bet on any of the following "events" is pretty much like placing a roulette wager. It's like hitting a hard 14. Some of them are basically nonsense, but they are fun, nonetheless. This particular bet comes first because it's our favorite! 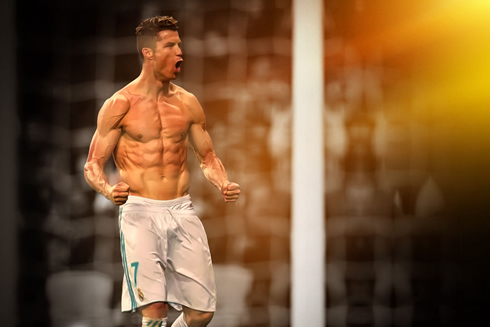 Cristiano Ronaldo has left his peak form from a fitness point of view. Sure, he's still the main contender to be the top goalscorer in the Champions League, and when he gets a hat trick, it's not a surprise for any of us. There's some truth in the saying, form is temporary, class is permanent. Slowly but surely, bookies and many members of the community from some of the best betting sites assume that there are chances for Ronaldo to take over from Zidane in the future. When will this happen? Nobody knows. Zinedine Zidane is doing well, pretty damn good to be honest. He managed to defend a Champions League title for the first and only time in history. Moreover, he's doing pretty well this season as well! 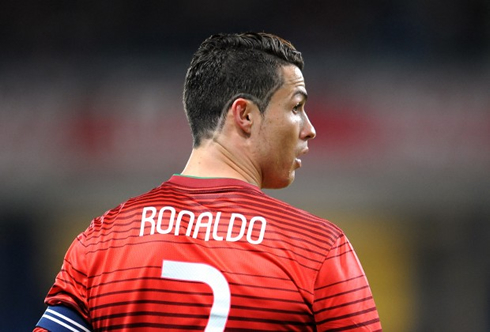 From what we've heard, the odds stands at 25/1 for Cristiano Ronaldo to take over. It sounds unlikely, but it's so now, at this very moment. Zidane practiced with Castilla, Real Madrid's 2nd division club. Ronaldo could go through the same as well. After all, his lifestyle is demanding and it's not like he can do anything else. Here's another future bet, but one that shouldn't take as long to settle as the previous one. That being said, this one is way more volatile. Before you place a bet of this kind, make sure you check the specific terms, such as, whether there's a deadline, does retiring apply or only transfers qualify, etc. The odds for this kind of bet are significantly lower, yet this doesn't make them unworthy of your consideration, especially if you're a passionate Cristinano Ronaldo fan. This has become a question of time. Ronaldo surely has his occasional downfalls that make him look bad, followed by an outcry of ungrateful fans, requesting him to leave Real Madrid. It was the right decision to keep him, in spite of the turmoil that surrounded him in the past. He's the pillar of Real's success in the past few years. The odds, they can vary a lot. And to be honest, it's extremely difficult to find a bookie which offers this bet in particular. A few years back, this was an attractive bet. Why? Because Ronaldo had competition, Lionel Messi. Now, it seems that Messi is out of the picture, which makes the odds quite unattractive. With that being said, betting on Cristiano Ronaldo to win the Ballon d’Or can bring you some easy money. Note, take the World Cup 2018 in consideration as well. It's an extremely important event, which will definitely bring new players to the popular European football scene, much like James Rodriguez was introduced. After a long discussion, we came to a conclusion that Ronaldo will most definitely win the Ballon D’Or if Real Madrid wins the Champions League for the 3rd time in a row. If they manage to do this, Ronaldo and all other of Real’s players, along Zinedine Zidane will go down in history. Pay attention to this, real money is at stake! This one definitely can be found under entertainment. Bookies go the extra mile to provide the bet lines for strange events, because that's what their customers demand. In case there's an entertainment category, yet there isn't an event that you'd like to bet on, request it! You'll be surprised by the passion these guys have about coming halfway with their trusted customers. 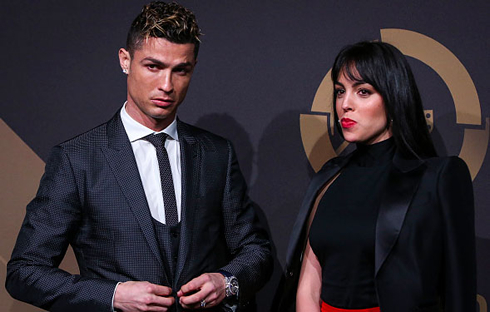 Is Cristiano Ronaldo going to break up with his girlfriend? Seems pretty definite to us! 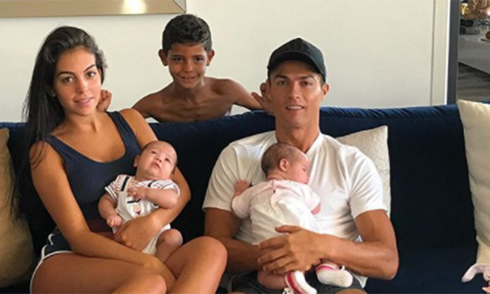 However, you have to wait a bit for this one, as we all know, Georgina Rodriguez has twins with Ronaldo, Mateo and Alana Martina dos Santos Aveiro. This is pretty popular at online bookmakers. It seems to attract a lot of attention amongst individuals that have nothing to do with sports, that have never in their lives watched a sports match. However, they do know who Ronaldo is, which is an achievement on its own! This is a standard betting market, one in which Ronaldo was the absolute favorite in the past few years. The rules are simple, and this is also a recurring market. As long as Ronaldo is part of Real Madrid, and the Kings are participants in the most popular European club competition, you can bet on Ronaldo to become the top goalscorer, and have decent chances of winning! The club that reaches the final usually has the top goal scorer on the team, and the best player overall. This is not us, this is the statistics and the past results talking. It's highly unlikely that Ronaldo will do anything of big significance in the World Cup 2018, which is going to take place in Russia. He's a great player, an individual and a team player as well. Nevertheless, football is a team sport, one that requires team chemistry and team support. Football is popular in Portugal, and it has some prominent football players that can change the outcome of the game single-handedly with a few moves only. The main problem is, Portugal needs to reach at least the semifinals in order for Ronaldo to have chances at becoming the top goalscorer of the World Cup. Will Ronaldo's kids play for Man Utd or Real Madrid? Last but by all means not least, we have a borderline unethical bet. It's just wrong to have children involved in any kind of bet, let alone one that's based on their future. It's just wrong and nobody can deny this! Is any of Ronaldo's currently 3 children going to play for Real Madrid? It sounds exciting, the idea of seeing Cristiano Jr in the white Real Madrid kit, leading the boys to victory. However, Cristiano Jr has a brother and a sister. Well, a half brother and a half sister, which just raises the odds of some of Ronaldo's kids to dress the white football uniform. A bet on any of the twins to represent Real Madrid or Manchester United comes with odds at 100/1. The same applies to Cristiano Jr. These odds are rather lucrative and must be duly considered! If you decide to go shopping for better odds, you will come across 250/1 at Ladbrokes! Cristiano Ronaldo next game for Real Madrid is on April 25 of 2018 against Bayern Munich. You can watch Juventus live stream, Bayern Munchen vs Real Madrid, Deportivo vs Barcelona, Liverpool vs AS Roma, Everton vs Newcastle, and Marseille vs Red Bull Salzburg, all matches provided from our sports live game pages.